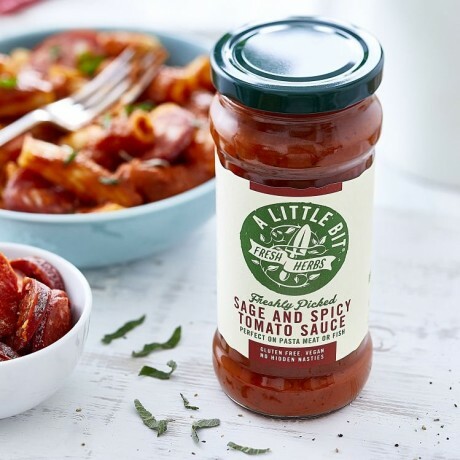 A delicious spicy pasta sauce packed with freshly picked sage for a wonderful twist of flavour. A Little Bit Food Co pick only the freshest herbs for their delicious sauces to capture that just-picked taste and add fantastic flavours to your cooking. Simply heat and stir through pasta. Try adding to shellfish, meat, or poultry dishes too. 6 Jars per case. Each jar is 325g. 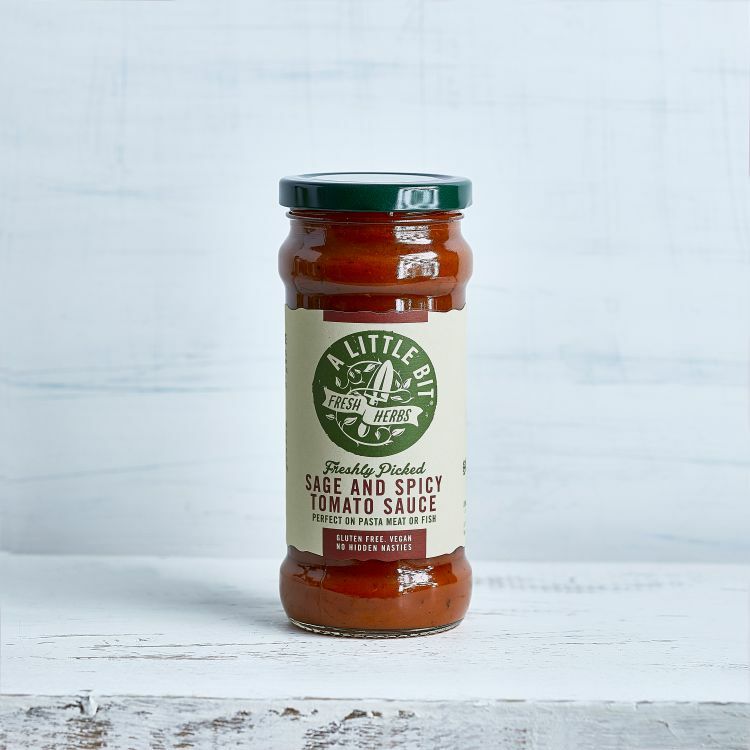 Tomatoes, Onion, Water, Tomato paste (9%), rapeseed oil, Brown sugar, Red wine vinegar, Worcester sauce ( water, sugar, spirit vinegar, molasses, onion, salt, tamarind paste, ginger, garlic, cayenne, clove) , garlic, Black pepper, Celery salt, Paprika, Fresh Sage, Cayenne pepper, All spice.